2. 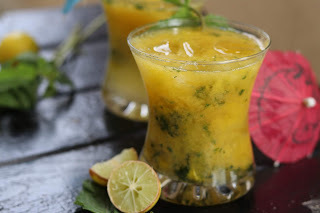 In a serving glass, add mint leaves, lemon pcs along with sugar. 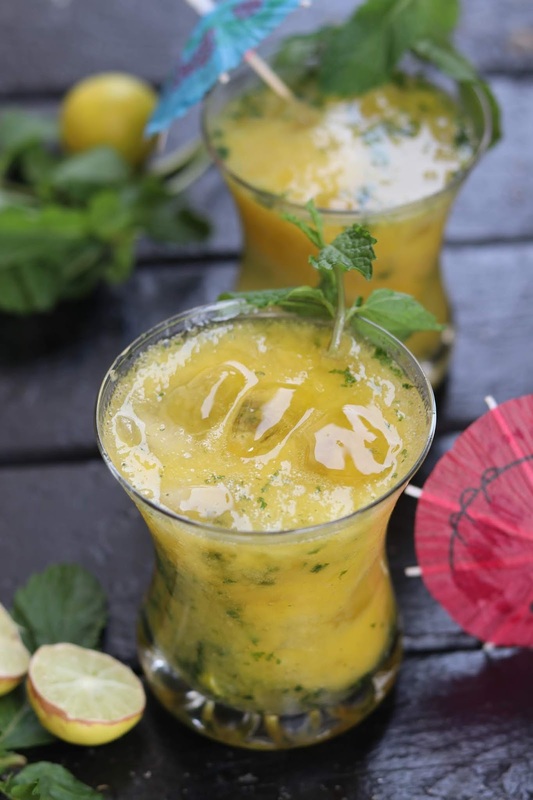 Use a muddler to crush the sugar, mint and lemon together, till all the juices of lemon and mint are extracted very well and sugar dissolves. 3. Add mango puree in glass, top it with crushed ice. Give a light stir. Finally add soda and give a gentle stir. 4. Garnish with fresh mint leaves or a slice of lemon.